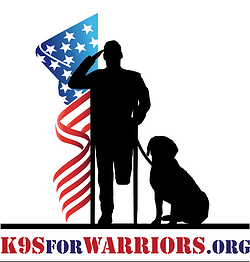 K9s for Warriors Coming to Nocatee! The nationally renowned K9s for Warriors program will soon be able to aid even more veterans struggling with Post Traumatic Stress Disorder (PTSD) and traumatic brain injuries. The Davis Family and The PARC Group have joined forces with Summit Contracting Group, Inc. to donate both the land and construction of a new training facility, where veterans from around the country can come to be paired with service dogs that will assist them in making the transition back into civilian life. Summit Contracting Group, Inc. will donate construction of the new facility, which will be built on nine acres of land in Nocatee donated by the Davis Family and The PARC Group. K9s for Warriors expects to break ground this spring on the new facility, which will be located in a secluded area of the popular Nocatee community. Recently named the 5th best-selling master-planned community in the nation, Nocatee is comprised of approximately 12,000 acres –60 percent of which is set aside as a nature preserve – located just a few miles from the Atlantic Ocean and Florida beaches. “We are excited to welcome K9s for Warriors to Nocatee,” said Roger O’Steen, chairman of The PARC Group, the community’s developer. The Nocatee Community, Davis Family, PARC Group and the many technical consultants and contractors who have generously donated their time and resources are all honored to support K9s for Warriors. News of the new K9s for Warriors training facility comes as suicide rates among returning veterans are increasing. In January, the U.S. Department of Veterans Affairs reported that the suicide rate for male veterans ages 18 to 29 increased nearly 44 percent between 2009 and 2011. Founded in 2011, K9s for Warriors is a not-for-profit organization committed to providing service dogs to wounded warriors suffering from PTSD as a result of military service. K9s for Warriors trains the dogs and matches them with soldiers, who participate in a three-week residential training program to learn how to work with their service dog. For more information, visit http://www.k9sforwarriors.org.